Manager hails Saints support in his first home game at the helm. Oriol Romeu reflects on Saints' display at Chelsea. Watch the best of the action from Saints' trip to Stamford Bridge. See all the key moments from Stamford Bridge in 90 seconds. Mauricio Pellegrino on Saints' defeat at Chelsea. Midfielder says Saints proved their character with battling display at Chelsea. Saints midfielder reflects on Saturday's action in West London. Mauricio Pellegrino previews Chelsea trip. Antonio Conte warns his side of Southampton's quality. Test your knowledge ahead of the trip to Stamford Bridge. Everything you need to know ahead of your trip to Stamford Bridge. Mauricio Pellegrino on bouncing back at Chelsea. Secure a ticket for the trip to Stamford Bridge. Tickets for Saints' trip to Stamford Bridge are now on sale. Ticket information for next month's trip to Chelsea in the Premier League. So near yet so far for Saints, who fought well for 90-plus minutes and have only been beaten from a set-piece. Marcos Alonso scores the only goal of the game for Chelsea with virtually the last kick of the first half. It's a cruel game. Good work from Morata, who holds the ball up and brings Fabregas into play with a clever lobbed pass. His Spanish compatriot waits for it to drop and strikes sweetly on his left foot, but Forster is there to make yet another save. He'll be gutted he hasn't kept a clean sheet today. The Chelsea manager is flailing his arms in all directions and gesticulating at his players. His team look a little shaky - can we capitalise? Chelsea counter-attack quickly and Redmond picks up a yellow card for barging into Morata. Was it even a foul? Looked shoulder to shoulder. Saints are really pressing now as Austin goes close again. This time Stephens crosses from the right, but Austin is almost too far beyond the near post to have a realistic chance of scoring, and cannot direct his shot on target. Final change of the game is a straight swap for Chelsea at right wing-back. This is end-to-end stuff now, with Saints growing in belief. 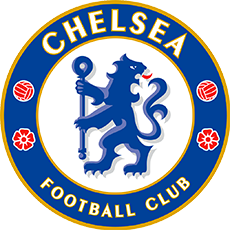 Chelsea hunt a second as Willian takes a free kick quickly to find Fabregas, who pokes the ball through the legs of Forster but sees it roll across goal from an almost impossible angle, with no blue shirt waiting for a tap-in. Boufal surges forward and plays a lovely weighted pass into the path of Austin, who outmuscles his man to get a shot off, but his attempt on the stretch is pushed behind by Courtois. Saints are still very much in this game. First involvement for Morata, who steps inside Hoedt and drills a left-footed shot from a narrow angle, but Forster is there to beat it away. Slightly surprising to see Hazard sacrificed, but Conte is suitably concerned to use Morata, who he had planned on resting this afternoon. Third and final change for Saints. Can Boufal create something in the last 20 minutes? Alonso already has one goal to his name and he tries again from 25 yards, this time on his right foot, with a shot that dips on target and needs parrying to safety by Forster. Hazard plays a quick one-two on the edge of the box and dispatches the return pass into the bottom corner in the blink of an eye, but Chelsea celebrations are short-lived as the flag is raised. First change for Chelsea, as Antonio Conte adds an extra body to his midfield. Hazard, who has been marshalled pretty well so far, picks up a loose ball and dances into a shooting position, but Yoshida throws himself in the way to make a brilliant block. Still just a single goal between the sides as we reach the three-quarter mark. Alonso ushers the ball back to his goalkeeper under pressure from Højbjerg, prompting Courtois to pick it up a little hastily. The Saints man is convinced the ball was still outside the penalty area, but the Belgian gets away with it. It's nearly a dream entrance for Austin, who goes clear on goal and tries to curl a shot into the far corner, but Courtois reads his intentions and keeps the striker out with a diving save. It's a straight swap up front as Pellegrino makes his second change. The in-form Austin is on for Gabbiadini. Virtually the entire game is being played in the Saints half of the field, but the longer the score stays at 1-0, the more we have a chance of snatching a result. Chelsea continue to probe, as a good passing move results in Azpilicueta shooting high over the bar from distance. Saints are snapping away at the ankles and restricting their hosts to optimistic attempts at the moment. Great feet from Willian, who steps away from two or three challenges, but loses his composure as he shoots wildly on his left foot. It's nowhere near Forster's goal. The second period has begun with a similar pattern, as Chelsea dictate possession but Saints have plenty of men behind the ball. Can we find an equaliser? Saints have kicked off for the second half and we're back into the action. See our gallery of images from the first half at Stamford Bridge, where Saints trail to that Marcos Alonso free kick on the stroke of half-time. Saints trail at the interval to Marcos Alonso's free kick in first-half stoppage time. Fraser Forster had made some important saves to maintain the deadlock, while Pedro hit the post shortly before Alonso struck the opener. Saints lost Cédric to injury early in the game. Chelsea have made the breakthrough with virtually the last kick of the first half. After Yoshida brings down Hazard, Alonso curls a 30-yard free kick around the Saints wall to beat Forster down to his right. Yoshida goes into the book for bringing down Hazard in full flight. It's a free kick for Chelsea in shooting range. Pedro has been one of Chelsea's quieter attacking players, but he gets the better of Lemina in the box and sees his low shot hit the base of the near post as Saints survive another scare. Suddenly Chelsea spring into life again. Willian tees up Bakayoko, whose 20-yard effort deflects off Romeu to beat Forster but flies narrowly wide for a corner, from which Saints clear the danger. Chelsea were getting on top in this game, but Saints have done well to stem the flow and slow things down with some controlled possession. Fraser Forster made this stooping save to deny England teammate Gary Cahill from long range. Chelsea are getting closer. Willian finds Alonso in the penalty area, who spins and tries his luck on his less favoured right foot. He strikes it well, but it's towards the near post where Forster is in the right place to push it behind for a corner. Hazard runs at the Saints defence and finds Willian, who is just about to pull the trigger in the box as ex-Chelsea man Bertrand gets back to make a crucial last-ditch tackle and keep Saints on level terms. This was the injury suffered by Cédric that forced him off in the 17th minute at Stamford Bridge, where it remains goalless. Saints have been comfortable in the game, but midway through the first half have started to come under pressure. This time Forster pushes clear Kanté's rising drive from 20 yards. Suddenly the Saints keeper is being kept busy, but they've all been fairly comfortable saves to date. Chelsea work the ball down the right flank and cross to the far post where Alonso is waiting. The Spaniard meets it on the volley, shooting into the ground, and Forster beats it away. The keeper then parries Cahill's low strike from distance. Cédric has not been moving comfortably since that early tackle from Cahill. It looks like Ward-Prowse will move to right wing-back, with Lemina filling the void in midfield. Willian races into the Saints box, plays a clever one-two and shoots just wide from ten yards. First moment of real concern for Saints. Cédric crosses from the byeline on the run and wins a free kick after Cahill catches him late. Chelsea deal with the set-piece, but the Portuguese requires extensive treatment and is still hobbling. Saints go close to an opener! More positive play from the visitors, as Bertrand advances down the left and crosses low. It beats Courtois, as Cahill uncomfortably clears his lines with Gabbiadini awaiting a tap-in. Saints' first notable attack results in a corner delivered by Ward-Prowse, which is half-cleared by the Chelsea defence and volleyed over by Højbjerg from 25 yards. Bakayoko disposses Ward-Prowse and Chelsea have numbers forward as they look to break quickly, but the referee halts the attack by awarding Saints a free kick. Diligent defensive work from Redmond to track Moses all the way to the byeline and block the Chelsea man's attempted cross, before Saints clear their lines. The hosts have enjoyed a lot of early possession but no chances as yet. Chelsea have kicked off and the action has begun at Stamford Bridge. Come on, lads! Less than ten minutes to go! Kick-off is edging closer at Stamford Bridge. Come on you Saints! The players are preparing for kick-off here in West London. Less than half an hour to go - stay with us for live match updates and audio commentary from 3pm BST. Mauricio Pellegrino makes half a dozen alterations from the Saints team who faced Leicester at St Mary's. Jack Stephens, Wesley Hoedt, Pierre-Emile Højbjerg, James Ward-Prowse, Nathan Redmond and Manolo Gabbiadini come in; Virgil van Dijk, Mario Lemina, Steven Davis, Dušan Tadić, Sofiane Boufal and Charlie Austin drop to the bench. Starting XI: Courtois, Moses, Azpilicueta, Christensen, Cahill, Alonso, Kanté, Bakayoko, Willian, Hazard, Pedro. Subs: Caballero, Rudiger, Zappacosta, Drinkwater, Fabregas, Batshuayi, Morata. Starting XI: Forster, Cédric, Stephens, Yoshida, Hoedt, Bertrand, Romeu, Højbjerg, Ward-Prowse, Redmond, Gabbiadini. Subs: McCarthy, van Dijk, Lemina, Davis, Tadić, Boufal, Austin. Saints have arrived at Chelsea and our club photographer was on hand to capture the players' first look around Stamford Bridge. Who would you like to see in the Saints line-up today? We'll have team news from Stamford Bridge at 2pm BST. Mauricio Pellegrino faced the press on Thursday, drawing a line under the midweek home defeat to Leicester and explaining how Saints will approach the task in hand this afternoon. the game will be very difficult for us because southampton are a really good team. they have young players with a great future. my expectation is for us to suffer, so we must pay great attention. We're counting down to kick-off here at Stamford Bridge. Take a look at this video for all you need to know on how to keep up to date with the action. Steven Davis, Sadio Mané and Graziano Pellè were on target the last time Saints won at Stamford Bridge in October 2015. Can we produce a repeat performance this afternoon? chelsea is a really difficult side, but maybe we will have more space. we have to play a really good game, but hopefully we can bounce back from a difficult moment. we want to show we can be competitive. We spoke with Saints boss Mauricio Pellegrino ahead of today's game. Watch our interview here, as he discusses the challenge ahead at Stamford Bridge.